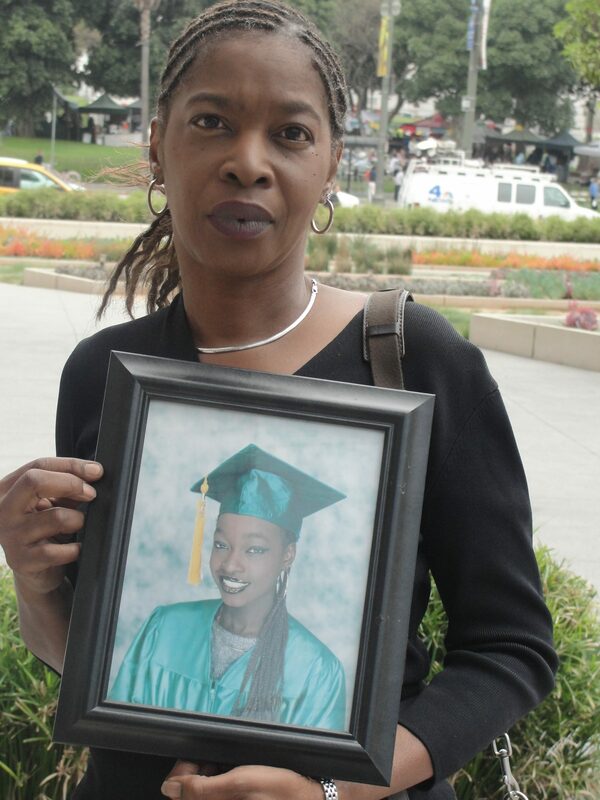 Los Angeles-It’s been a long fight for Margaret Prescod. As a matter of fact, it’s been a 25-year fight for Prescod, co-founder of the Black Coalition Fighting Back Serial Murders, to see justice for the families of mostly black women found murdered in South Los Angeles. After years of pushing and prodding the Los Angeles Police Department to speed up their investigation of the murders of these women, Presod showed some relief at a recent press conference last as the LAPD brass announced they had arrested the man they suspect of killing at least 10 people, including sexually assaulting his victims. A former police mechanic, Lonnie Franklin, was arrested at his home in South Los Angeles in connection with the murders. The murders began in August 1985, when the body of Debra Jackson was found. Janecia Peters’ murder culminated the killer’s rampage. Most of the murders Franklin is accused of, took place between 1985 and 1988. The killing spree started up again in 2002. There could be another serial killer out there, said Prescod. Prescod said there may be as many as 45 of other unsolved killings of black women in the immediate area. 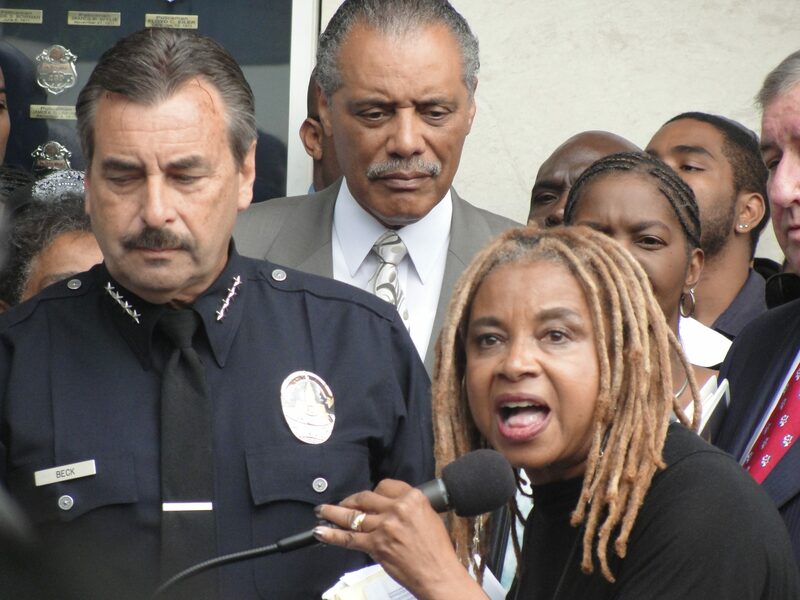 Prescod is not giving the LAPD a pass on this issue. She said if the victims were white women, the case would probably be closed now. The trail of blood began 25 years ago. The pattern of the blood trial left by accused Grim Sleeper didn’t move any charts with the local media. For 22 years, Franklin, 57, allegedly preyed on wayward victims in the neighborhood he lived and roamed-in and around South Los Angeles. Ten of the 12 of his alleged victims, after he sexually accosted them, met violent, untimely deaths. Their bodies were thrown in garbage bags, thrown in dumpsters and basically discarded as if they were part of the grim scenario that make up some neighborhoods in South Los Angeles. For years, people either didn’t show they cared or were indifferent to the outcome of these hideous crimes. They care now. Police gathered DNA that linked Franklin to the murders. Family members of Franklin’s alleged victims were relieved he was finally nabbed. Laverne Peters, mother of the last slaying victim, said she had spoken to her daughter, Janecia, the day before she was murdered on New Year’s Day, 2007. Janecia seemed really excited that she had found her own place to live, said Laverne.